Click the Menu Item Type Select button and then click the Login Form link under Users. 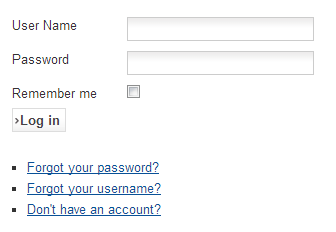 The Default Login Layout has the following Basic Options, as shown below. Login Redirect. The URL of the Page that the User will be redirected to after a successful login. If blank, the Front Page will be used. Logout Redirect. The URL of the Page the User will be directed to after a successful logout. If blank, the Front Page will be used. 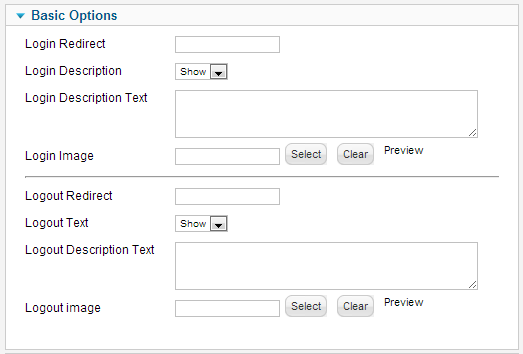 The User Login can be used as a menu item as an alternative to placing a module on every page. This page was last modified on 27 February 2013, at 07:15.